"Dr. Marlenny is very considerate and exceptionally cares about her patients." "Best doctor in Florida. I am so glad I found Dr. Feliz Cruz." "She listens to my concerns and cares about my thoughts and inputs on my care." 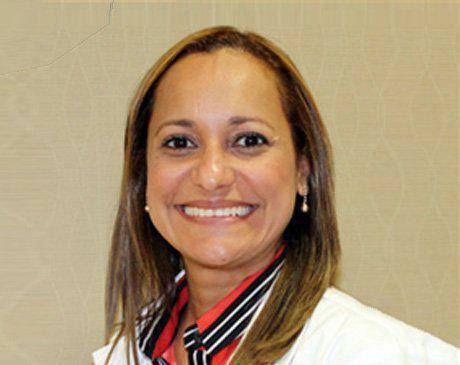 Marlenny Feliz-Cruz, MD, PA, shares her passion for health by providing primary and urgent care services for people near Pembroke Pines, Florida. Her caring, enthusiastic nature shines through from the minute she walks through the exam room door. Dr. Feliz-Cruz earned her medical degree from Universidad Nacional Pedro Henriquez Ureña (UNPHU), in Santo Domingo, Dominican Republic. She completed her residency in internal medicine at St. Barnabas Hospital in the Bronx, New York, and earned her board certification in internal medicine. Dr. Feliz-Cruz established the clinic in 2009. She is an active member of the American College of Physicians and a physician member of the Quality Committee at Memorial Hospital Miramar. Her affiliation with Memorial Healthcare System in South Florida allows her to provide inpatient care for her regular clients. As a primary care physician, Dr. Feliz-Cruz is particularly interested in weight management and metabolic conditions. She also considers holistic health when it comes to managing diseases. Born in the Dominican Republic, Dr. Feliz-Cruz is fluent in both English and Spanish. She values quality, individualized care for her patients.